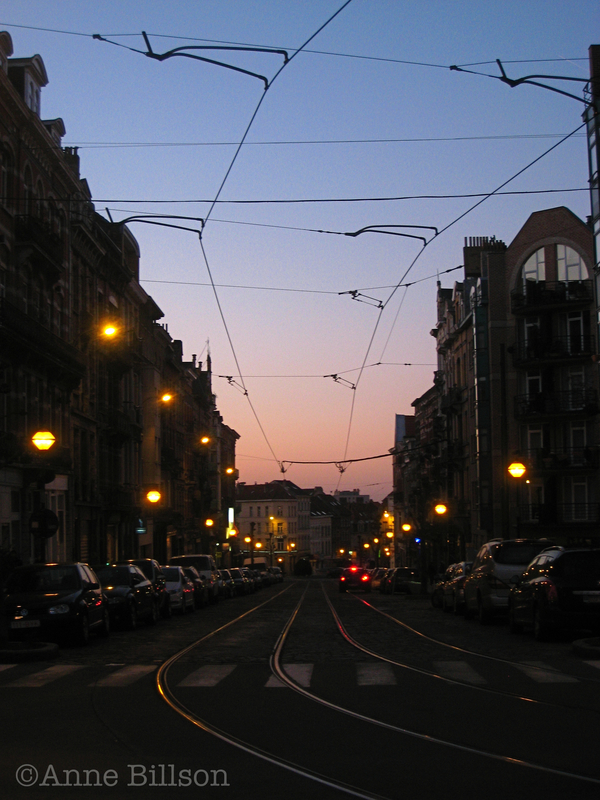 Here are some photographs I took outside the Palais de Justice in Brussels on a Sunday evening. I like the way the wide-angle lens has distorted the Palais so it looks as though it’s about to roll itself up, like one of the buildings from Inception. The view of the city from here is quite spectacular, especially when there’s a mix of sun and storm cloud. The industrial-looking structure in the photographs is the top of a big glass elevator which enables members of the public to travel back and forth from the Marolles level without having to toil up a steep slope. Riding up in it, watching the ground suddenly falling away, gave me a serious case of vertigo.